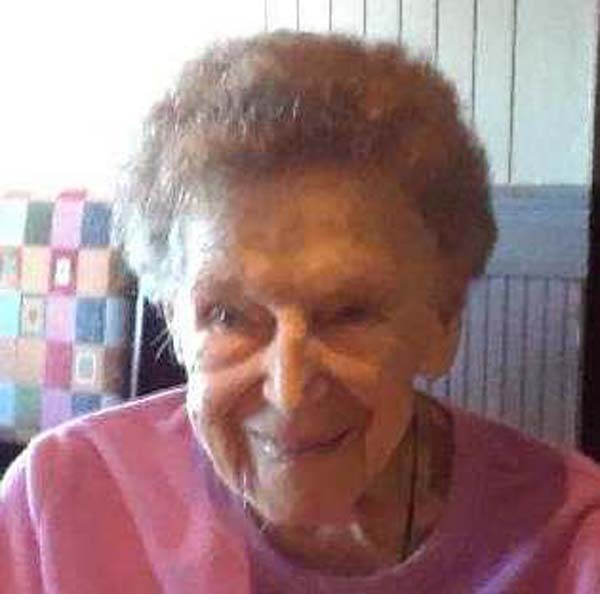 Mrs. Sylvia N. Cunniff, age 98, formerly of Hagaman and Gloversville, NY, died Sunday, August 26, 2018, at Good Samaritan Health Center, Kissimmee, FL. She was born January 7, 1920, in Edmeston, NY, the daughter of the late Ford and Myrtle Wright Nichols. Sylvia was a member of the Bleecker Street Church of Christ of Gloversville, Ida McGinness Sr. Citizens, Hagaman Senior Citizens, St. Augustine, Florida Sr. Citizens Center and the Johnstown Moose Auxiliary. Sylvia taught Sunday school in Hagaman and enjoyed bowling in her younger years. She performed extensive volunteer work all of her life. She was proud to walk with the Hagaman Fire Dept. Marching Band. She is survived by a daughter, Sylvia Harris (Otis) of Kissimmee, FL; four stepchildren, Linda Vosteen (Paul) of Johnstown; Jo Ann Kelly, Debra Rose and Joel Cunniff; two grandchildren, Jeffrey Spencer (Caroline) of Tamarac, FL and Randy Kyle of Davenport, FL; seven great-grandchildren, Jackson Kyle and Evie Kyle of Florida, Destiny Rippy and Daisia Rippy of Indiana, Gordon White (Lex) of Colorado, De’Sember Bush of Albany and Sherry Spencer of Florida; many step-grandchildren and step-great-grandchildren. In addition to her parents, she was predeceased by her husbands, Gordon Gunsaulus and Joseph Cunniff; a son, Gordon William Gunsaulus; a brother, Percy S. Nichols; a sister, Evelyn Bennett; a granddaughter, Shari Rippy, whose husband Bruce survives in Terre Haute, Indiana; and two step-grandchildren, Jennifer Vosteen Finegan and Craig Maze. A graveside service will take place 1p.m. Tuesday, September 4, at Hagaman Cemetery with the Rev. Sandra Geer officiating. Arrangements have been entrusted to Walrath & Stewart Funeral Home, Gloversville, NY.